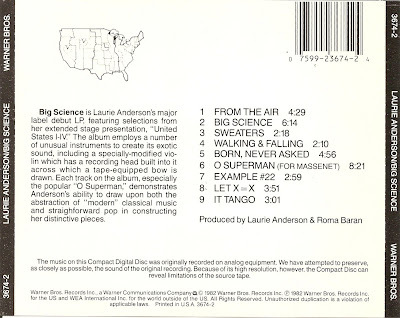 Laura Phillips "Laurie" Anderson (born June 5, 1947) is an American experimental performance artist and musician who plays violin and keyboards and sings in a variety of experimental music and art rock styles. 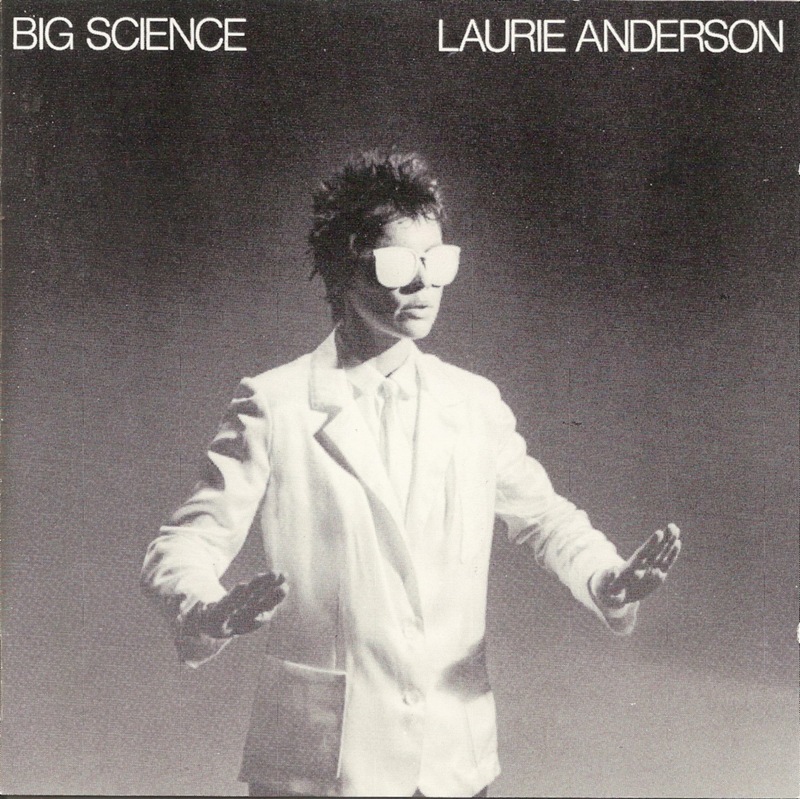 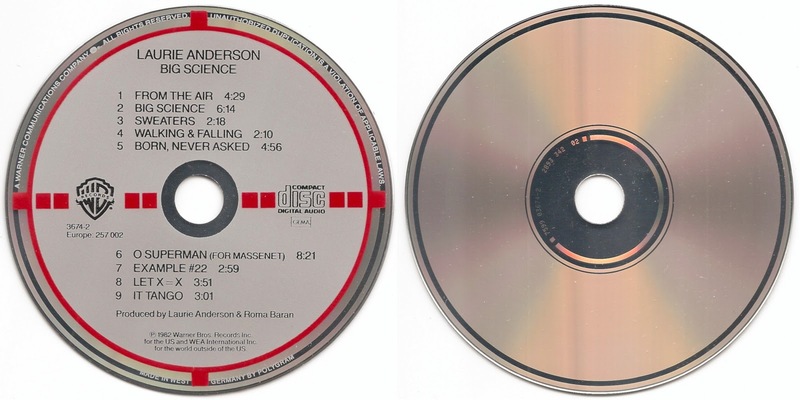 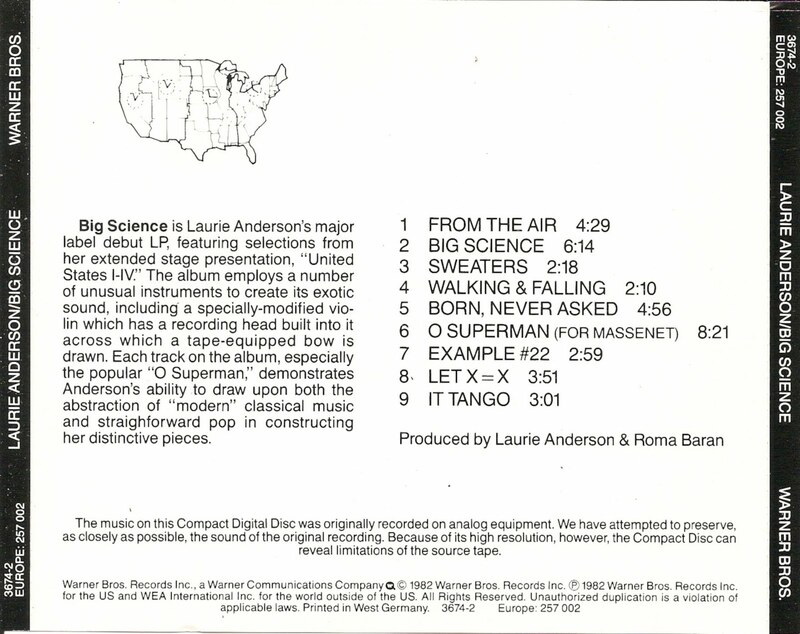 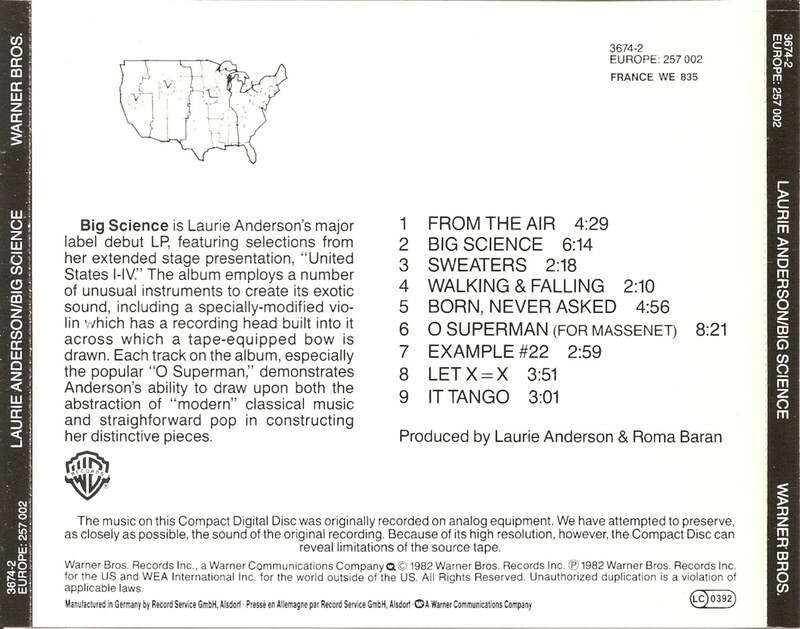 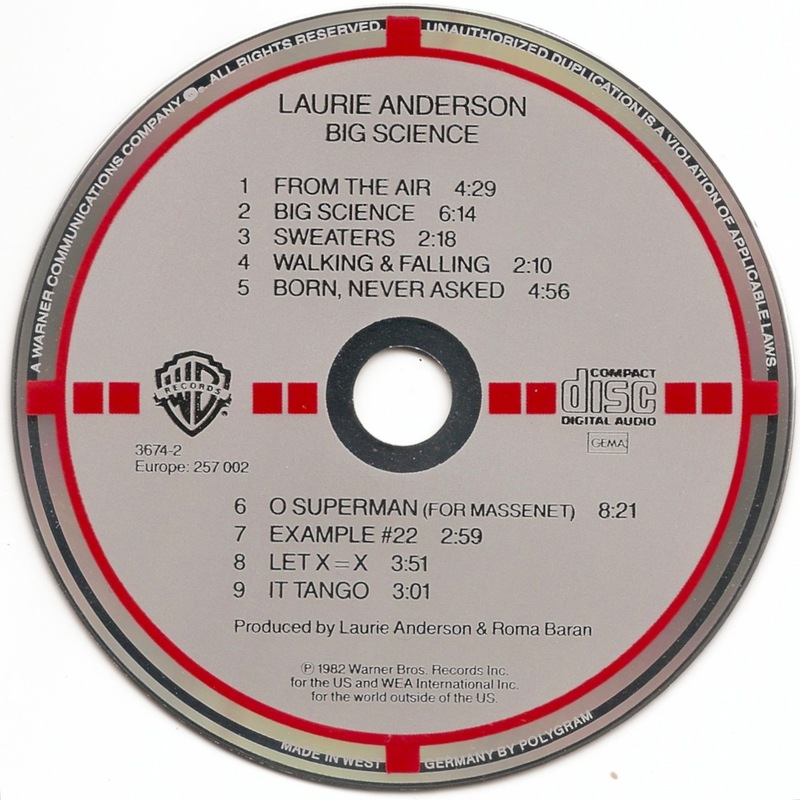 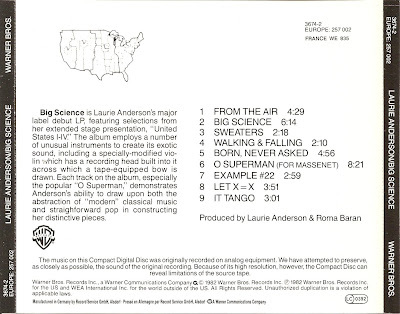 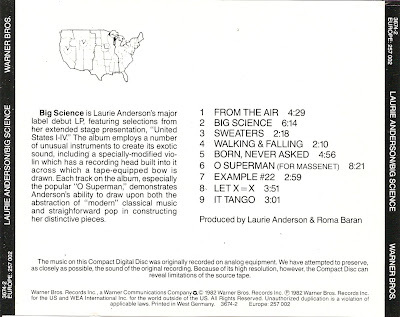 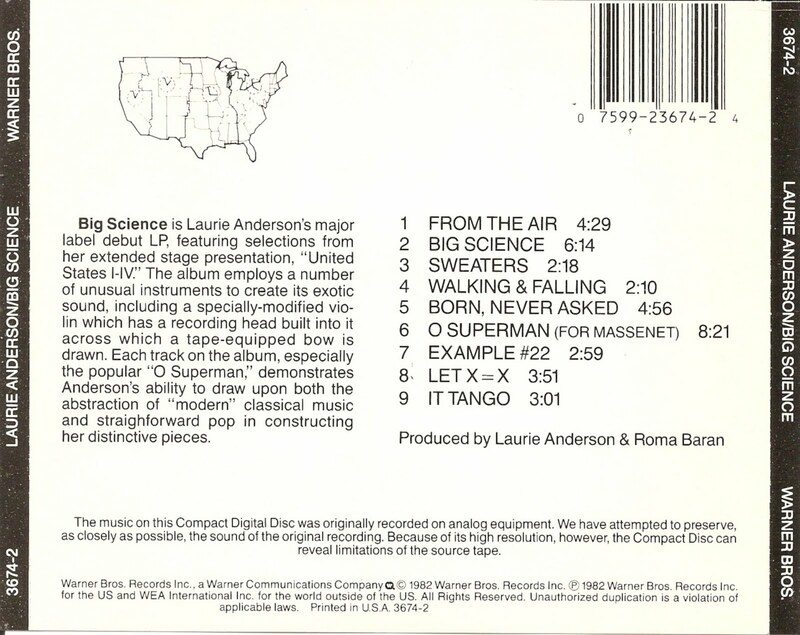 Big Science is the 1982 debut album by avant-garde artist Laurie Anderson and the first of a 7-album deal she signed with Warner Bros. Records. 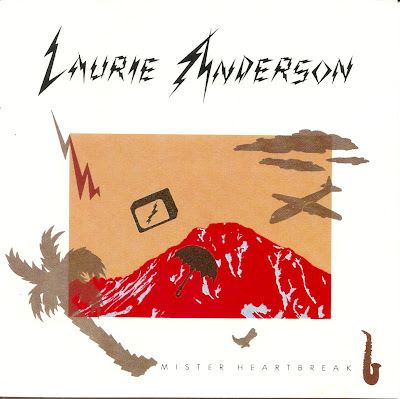 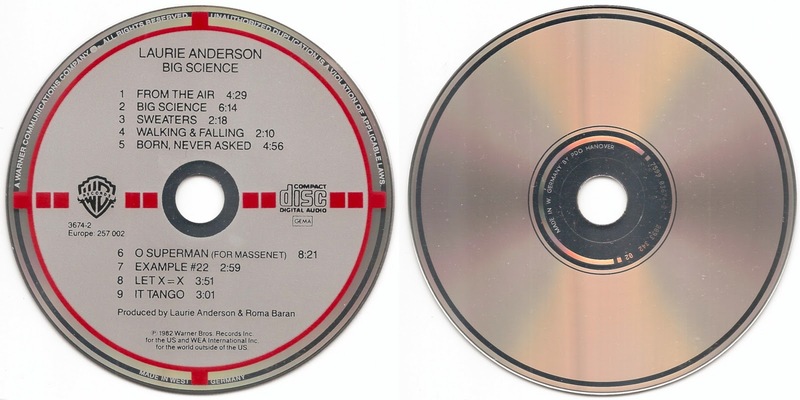 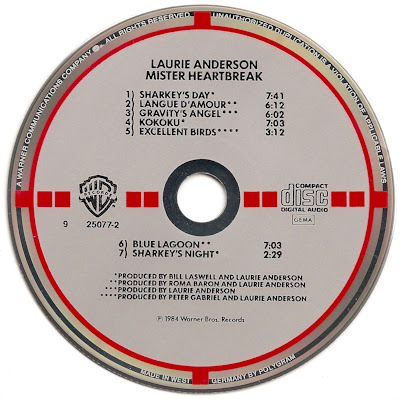 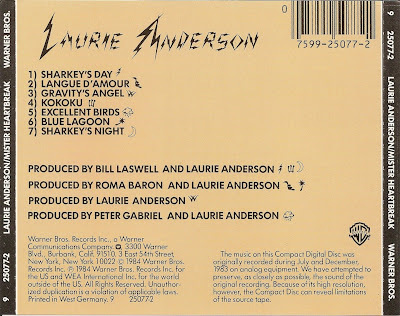 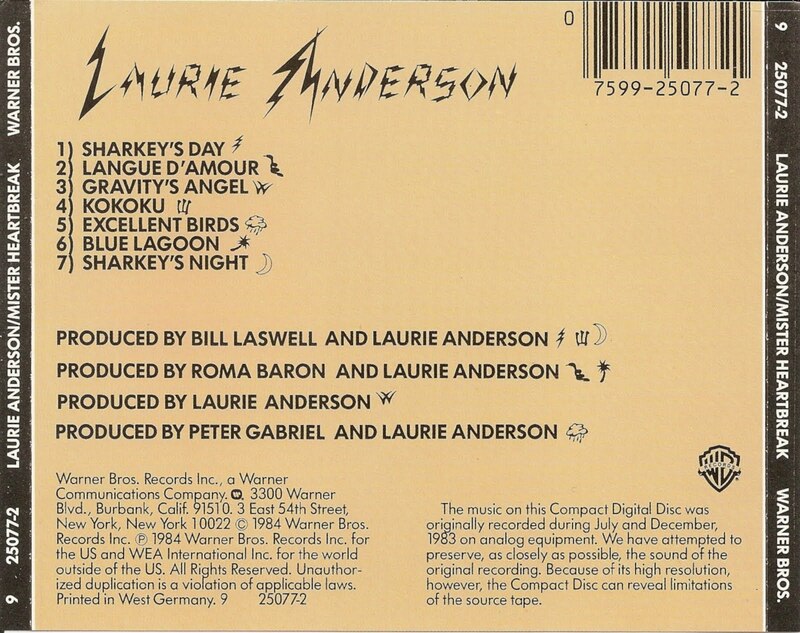 Mister Heartbreak is the second album by avant-garde artist, singer and composer Laurie Anderson, released in 1984.